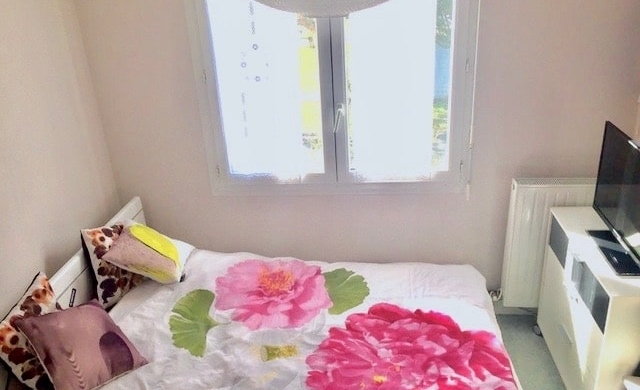 Discover the exquisite region of Arcachon with this unique French immersion homestay by the beach. 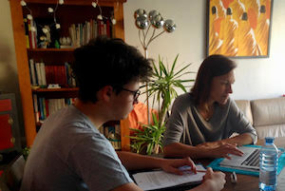 French teacher Isabelle and her son Théotim (14) will welcome you in their modern flat, near all public transportations. Walk everywhere, or bike, or even rent a car to go visit the coast or the nearby vineyards of Bordeaux. With its warm microclimate, Arcachon is a great destination year round: it’s a sportive’s paradise, a nature-lover heaven, a food gourmet wonderland! 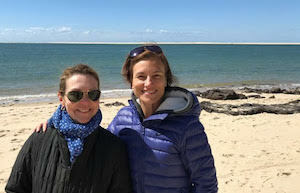 Discover this unique region of France while improving your French under Isabelle’s kind guidance and company. Bonjour and welcome to my home. 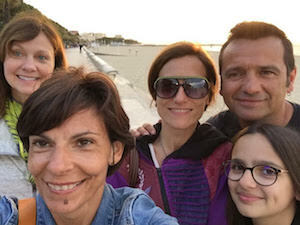 My name is Isabelle, I am 47 and a native French teacher with solid experience in teaching French in international schools abroad and tutoring. I am also a certified Yoga teacher. 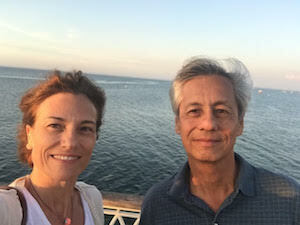 I started teaching French in Houston, USA about 10 years ago and after moving to Malaysia, I taught at the “Alliance Française” + international schools in Kuala Lumpur. I was lucky to live 11 years abroad in 5 different countries, (The Congo, South Africa, Scotland, USA and Malaysia) and enjoyed lots of travelling all around the globe, both for work and leisure. I am passionate about linguistics, teaching and discovering new cultures. So moving back home, becoming a French immersion teacher and host was the perfect choice. My son Théotim (14) lives with me part time, and although French is his native language, he is also fluent in English. Since we lived in different countries, we understand how challenging it can be to speak in another language, and we will gently encourage you to speak French and adapt our French to your level. When you come to stay with us, you’ll get plenty of practice in French: on top of the structured French lessons, I will include you in my everyday activities as much as possible and offer to share a relaxing time with Yoga group session or classes « à la carte ». 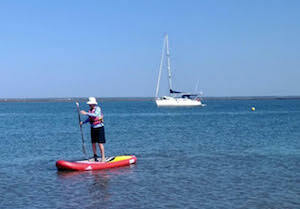 My partner Abel is a kayak and paddle board instructor, which is quite handy with the sea being so close! He and his 13 year-old daughter Emma are lots of fun to be around and they too are excited about meeting people from around the globe and welcoming them into their lives. And last but not least, you’ll get plenty of French practice with my miniature dachshund Malta: she’s a patient listener, and will agree with everything you say. See you soon in Le Bassin d’Arcachon ! “La Teste-de-Buch” is a safe neighborhood of Arcachon. Shops, restaurants, public transportation to go downtown Arcachon or explore the region, bike paths, the beaches and the sea: everything is at hand. We live in a very quiet modern building ensemble, with a large private park, beautiful trees and a playground. Lots of people who live in my neighborhood work at a nearby military base, so I’m lucky to live among really good, polite, friendly neighbors, in a very safe area. There is a bakery and a small grocery shop, buses services, all across the street, and the train station is at a walking distance. My flat is located on the French 1st floor (US 2nd floor) without elevator. As it’s the case for many flats in French cities, the rooms are not very large, but it’s very sunny, and quiet. There is a balcony, three bedrooms, one bathroom with a bathtub and a shower, a large and sunny living room / dining room with a big TV, a small eat-in kitchen and a separate toilet. I usually like to cook gluten free meals and personally I don’t eat meat, so it can be all vegetarian as well. But I do cook meat for my son and my friends, so I’ll be happy to prepare whatever pleases you: I understand students also want to enjoy the local French food! Your private room is quiet and sunny. There is a queen size bed, a desk and a built-in wardrobe. Please note that the bathroom is shared with us. When it is warm, we love to eat outside, enjoying a delicious picnic and sunset by the sea. There are plenty of affordable restaurants around, little oysters shacks etc… We also enjoy cooking our own food and eating outside, picnic style. Actually, we spend a lot of time outdoors since we are lucky to live in a region with a mild microclimate which allows us to enjoy the outdoors year-round! 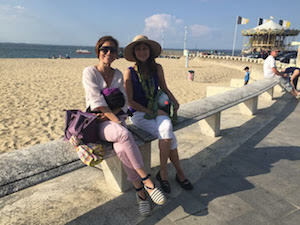 Arcachon is a lovely seaside French town. It’s known for its 1900 architecture, amazing parks and beaches, and super fresh seafood. French people are not stressed here: we live by the sea and enjoy nature to its fullest. If you want, I’ll be happy to lend you a bike to explore. La Dune du Pilat (highest sand dune in Europe, named 2nd world most beautiful beach) is accessible by bike on a dedicated and secure path. The Bird Park in “Le Teich” is amazing too. « L’île aux oiseaux » et « Le Banc d’Arguin », « Cap Ferret » , are only a boat ride away; Bordeaux, its nearby castles, exquisite wines and authentic vineyards is at a 45 minute drive. I’m quite sporty myself: if you like horseback riding or simply the company of beautiful horses and the countryside, I’ll take you to my riding club. We can also play tennis together, my club is at a walking distance from my flat. 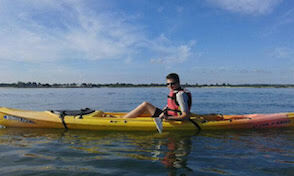 My partner Abel being a kayak/ paddle board instructor, he loves the sea! Actually, my hole family does and we enjoy practicing pretty much all the sea related sports! You can reach my house by taking the train to Arcachon. The nearest airport is Bordeaux, and I pick-up at Bordeaux Airport can easily be arranged for Euros 50. However, if you want to be more independent and discover the area on your own, I suggest you rent a car: there is so much to see around here! Wifi is reliable throughout the house, and we do not smoke, but smoking is possible outside. 3 meals a day (breakfast, lunch and dinner) that we’ll be happy to share with you unless you’d rather take off on your own. Accommodation in a nice and sunny guest room in my quiet apartment. We will share the bathroom. At the end of the stay, I will give you a report of your French courses + advice to go on improving your French with some references of useful websites and books. For this program, the fee for one person is 1300 Euros per week. Yoga is more than a passion, it is a way of life. As I love teaching, it was only natural for me to share my yoga experience as well, so I became a certified yoga instructor in 2014. I give small group classes near my place and you are welcome to attend, at no extra cost. I give one to one sessions as well, totally suitable to individual needs, so if you are interested, I’ll be delighted to discuss that option with you. When the weather permits, we can practice outside, on the beach, while enjoying the soothing sound of the waves, or at the park with birds’ songs. How about a yoga session, combining sport and relaxing time on a paddle board? You will not only work strength and flexibility but also focus, and peace of mind, while developing your French listening skills! Since your immersion stay will take place in a city, there is plenty of services around! 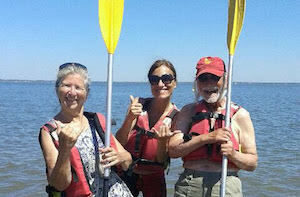 I have many contacts in the area and could give you names of professionals who would be happy to speak French with you and take you kayaking, or give you surf or sailing lessons, or offer a relaxing Ayurvedic massage! Let me know if there is anything else you’d like to do, and I’ll look into it. As a certified and experienced French teacher, I’ve taught (and enjoy teaching) all levels and age of students. Whether you need help brushing up on your French or preparing an exam, I’ll be able to help you. It’s important for me to teach the “real” French language: French like people speak it in everyday situations, and the modern glided pronunciation. An immersion with me will help you get over your fear of speaking: you will get plenty of opportunity to practice your French with me, my son, and my friends, no matter your level. We are all excited to welcome you in Arcachon, encourage you to speak French and take you around to discover this unique part of France. Having completed only a week for my Immersion with Isabelle in Arcachon, I can say it was well worth the effort. I was a proper immersion: becoming part of the family of Isabelle and her son doing things together frequently. The teacher is so important: here, always on time, cheerful, patient and able to get the best from me. The techniques use all the recent technologies with comprehension, videos, recordings, situations to describe (some of which were very funny) and conversation. Some pronunciation, Isabelle was patient at all times and spoke clearly: an experienced and well trained teacher. Arcachon is a seaside holiday resort with super facilities. As I arrived in winter these weren’t on offer. However a trip to the Dune Pila, a huge sand dune with a stroll along the beach was a good afternoon. 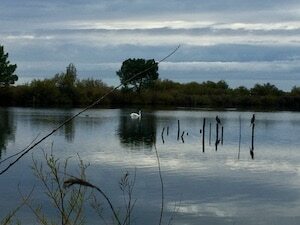 We went also to the Reserve Orthnicologique du Teich at the Bassin d’Arcachon which has a diversity of bird species. I adore sea food, so we visited one of the oyster villages and had the product for dinner! The apartment was small, 3 bedrooms with a dining sitting room (large tv) and for lessons. My room had a double bed, was quiet and very comfortable. There was a shared bathroom. The small size seemed irrelevant. My week passed quickly, and I was sorry to go. Isabelle is a professor of yoga, and this option is available (I only watched!) Also bye bye Max and Malta, two lovely small dogs. This is an Immersion I recommend strongly. My week with Isabelle was just as I had hoped. At the end of September the weather was just right and I was able to do lots of exploring of the beautiful Arcachon basin. Isabelle, her family and her friends couldn’t have been more gracious and welcoming – and patient with my very basic speaking skills. Isabelle is a wonderful, professional and dedicated teacher – preparing each class with a variety of teaching modalities. I left with a list of resources to advance my aural skills which I have been using since my return. The bonus for me was joining three of Isabelle’s yoga classes – I am an avid yogini – and the stand-up paddleboard session that she arranged. Combining my love for the French language with yoga and paddle-boarding was such a gift. But the most meaningful gift was being a part of Isabelle’s family for a week – a gift that will live on in my heart. Isabelle lives in a lovely and relaxing part of France. If you like seafood you will enjoy staying in Arcachon. We used videos and audio to improve my oral comprehension and then discussed the content so I could exercise speaking as well. We also read aloud and discussed chapters of a book to give me exercise in pronunciations, melody of the language as well as oral communication. Exercising multiple skill areas simultaneously has been very useful for me. We explored the area, such as the highest sand dune in Europe as well as local walking trails while speaking French. Isabelle also brought me along to a yoga session as well as an event with friends. This allowed me to speak French in a friendly and informal setting. I would recommend an immersion stay with Isabelle. I have been working on my French for a while on my own. French is my passion and when I came across the French immersion programs I thought that I should give it a try. I chose Isabelle by chance and I am glad I did. She welcomed me into her life, she took me with her in many places and made sure I tried to speak in order to overcome my fear of speaking. She introduced me to the French culture by speaking to me of French films, French poets, performers and singers. The daily three hour lessons were tailor-made to my needs. Grammar, French expressions, vocabulary etc. 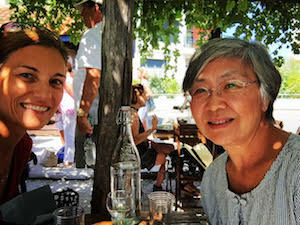 The week I spent in Arcachon with Isabelle and her family confirmed my affection for the French language and culture. I truly believe that an immersion course is the best way to take one more important step towards improving the knowledge for a foreign language. I just spent a fabulous week with Isabelle improving my French listening skills, pronunciation, and grammar. It was truly an extraordinary time! 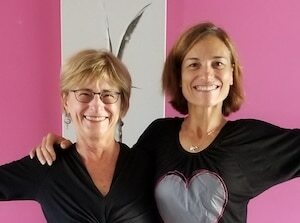 She is a generous hostess, an extremely competent teacher, and a very gracious person with her time– inviting me into her world to really apply some practical French with “real” French people. 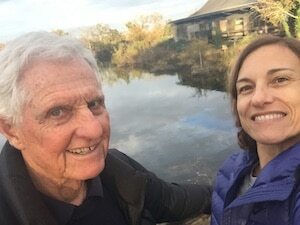 We had our formal lessons each morning, and on more than two afternoons (as promised) she spent time with me showing me various parts of Arcachon, or taking me to dinner with her family and friends. I had the pleasure of attending one of her yoga classes – thankfully she was gentle on me as I’m a novice! 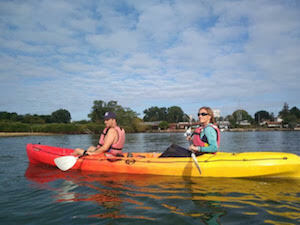 Had the weather cooperated, I’d have also gone kayaking with her friend; alas, il y avait un orage! She also thoroughly explained the bus system which I took a couple of times to the beach and walkway along the beach. And, she also helped me to make an appointment chez le coiffeur! Isabelle’s son added a delightful element to the entire experience – reminding me not to speak English with him! A budding professor himself! Isabelle provides a very comfortable bed (full or queen?) in a more than adequate room, and we shared the same bathroom which never posed any problems. Her meals were wonderfully healthy and very delicious. I can’t think of any way for her to improve except perhaps to put a small mirror in the bedroom, for I didn’t want to take up more time in the bathroom! Otherwise, all was perfect – anyone will feel comfortable in her home, and certainly improve his or her French skills by spending time with Isabelle. It was way beyond my expectations for the a week of French Immersion with Isabelle. I’ve long forgotten most of my basic French grammar, but Isabelle was so patient and kind in coaching me back during the 3hr of lessons every morning. Outside the lessons, Isabelle took me along to various of her activities: walking her dog along the beach, strolling with her neighbor in the park, playing tennis in her club, Yoga session which she taught, wandering around the Music festival; all of these were excellent opportunities to interact with her friends, to practice more French in a variety of situations, and experience more genuine French culture. Isabelle fed me 3 meals every day, very healthy tasty home cooking. Her partner, son and dogs were all so friendly and made me felt adopted into their family. However, the week passed by so fast ! I wish I could spend the whole summer with her family. I had a really pleasant week with Isabelle and Theotim and the dogs, Malta and Max, and Abel. Isabelle is a great teacher, making the lessons fun and varied whilst getting to grips with the many gaps in my knowledge of both written and spoken French. We spoke in French all the time except the very last night when I realised how excellent Isabelle’s English was. I even learnt the subjunctive! 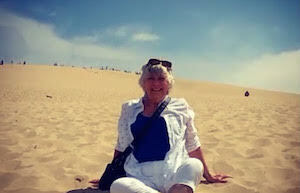 There were other fun times, too: trips to Dune de Pyla: Ornithological Park; Church in Arcachon; market; shops; cafes. The accommodation is good: the bed comfortable and the area around the flat quiet and peaceful. I found the class to be a great start in my journey in learning the French language and French culture. My experience was a positive one. I found your home and family to be very warm and inviting. The area was beautiful, easy to access, and the food was amazing! I would definitely recommend this immersion experience to anyone just starting out or looking to improve their skills. C’était une bonne semaine à Arcachon. Isabelle est une prof patiente et très sympa. J’ai vraiment apprécié son professionnalisme. L’association des leçons et des activités ont été une jolie expérience. I loved my immersion week at Isabelle’s. Discovering this beautiful area of the Bassin d’Arcachon was truly a great experience and I made a lot of progress in French thanks to Isabelle’s structured lessons and the practice I got everyday. I enjoyed French gastronomy and trying local products. 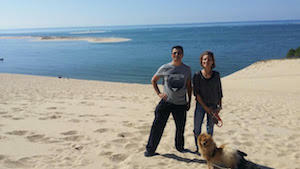 It was great to shop at the market and climb the Dune of Pilat: what a view!! I hope to return as soon as possible. 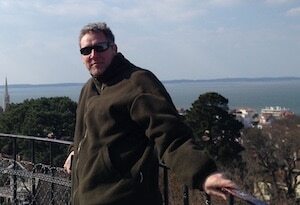 I am an American man living in France, trying to learn to speak French. he afternoon cultural visits were a more casual way for me to practice understanding and speaking French. Isabelle immediately made my wife & me feel at home, and she treated us more like family or friends than clients. I highly recommend her and I hope to return for another class in the future. Our 14 year old son spent 2 weeks with Isabelle this summer. He thoroughly enjoyed the time, studying French with Isabelle in the morning and going surfing in the afternoon. He made significant progress with his French (and the surfing). I highly recommend isabelle and would like to thank her again for hosting our son and for giving him such a great experience and fun time. I feel lucky and grateful for my two weeks stay at isabelle’s, studying French. I thank her for this great experience. The one to one lessons in the morning were a perfect match for me to work on my oral and written skills, it helped me tremendously to prepare for my French exam. I enjoyed as much the hours dedicated to the discovery of the Bay of Arcachon and Bordeaux, and its culture. It was really fun to join Isabelle’s yoga classes and play tennis with her. Abel’s water activities are a gem too. I find that the immersion program in a foreign country is an excellent way to progress quickly in learning a foreign language, so I would highly recommend it and isabelle! Long live the language study holidays!